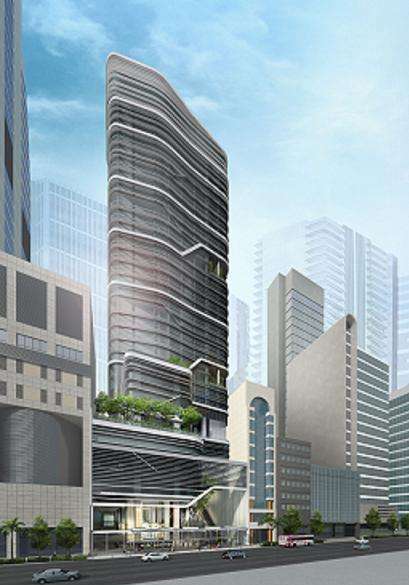 SBF Center is located in the heart of Singapore’s CBD on Robinson Road, 2 minutes’ walk to Tanjong Pagar MRT station with an underground link to the station for ultimate convenience, rain or shine. It is close to the upcoming Marina Downtown, Tanjong Pagar waterfront city and Marina Coastal Expressway (MCE). 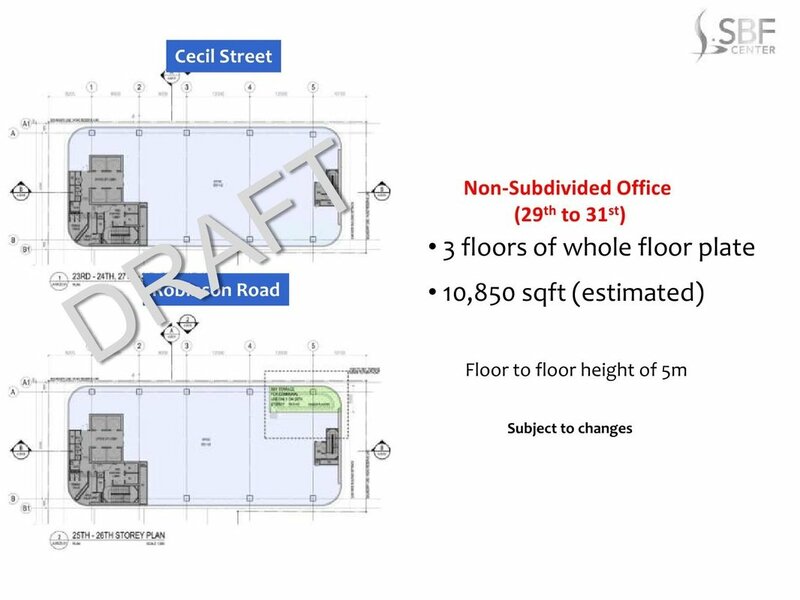 Distinct from other office buildings in the area, SBF Center will feature 48 Medical Suites with its own separate lobby, forming the Mediplex @ SBF Centre. 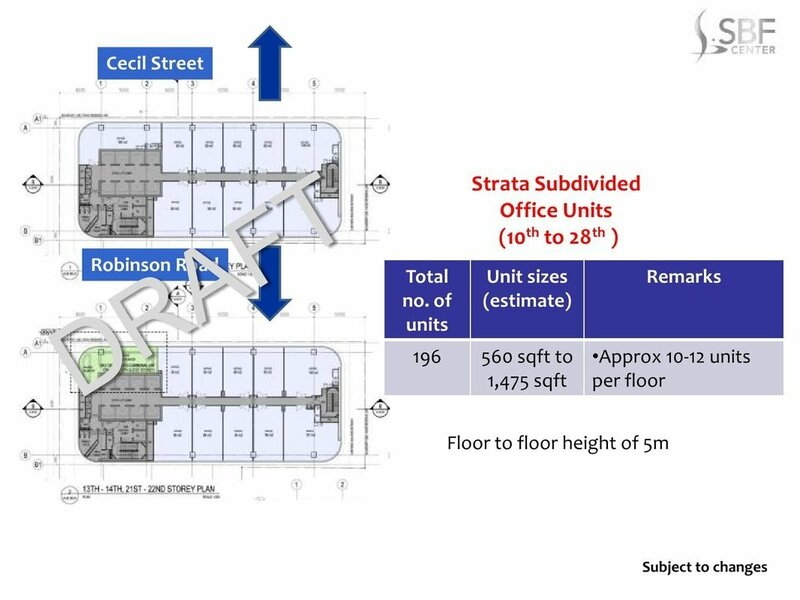 SBF Center will feature 196 Strata Subdivided Office Units, and 3 Non-subdivided Office Units. It will also have a public Roof Garden/Sky Terrace along with state-of-the-art architectural features such as a cascading water wall and abstract forest wall. 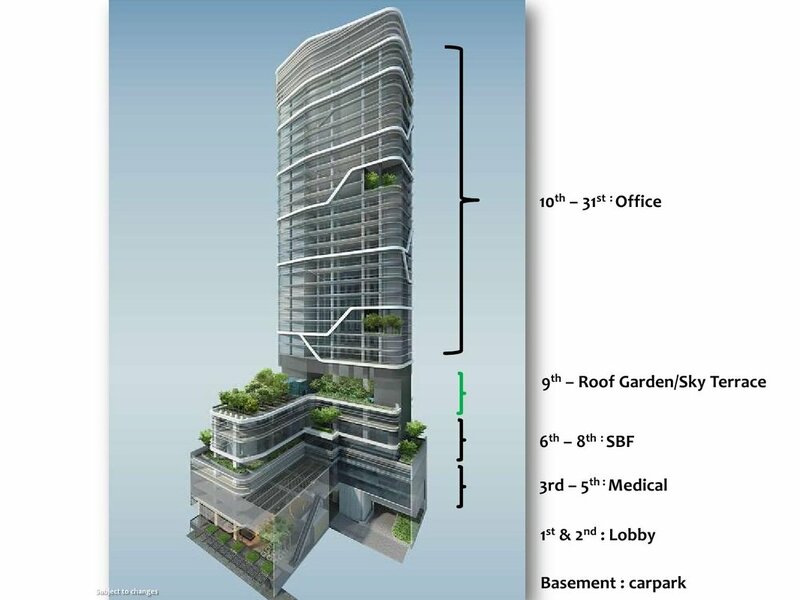 SBF Center presents an ideal investment choice based on strong demand for strata office space and the growth of medical tourism in Singapore. Please see below for some draft floor plans. For detailed updates please contact Benson at 83187083.